SPF feature is implemented in Icewarp Mail Server as a part of the SpamAssassin in Icewarp AntiSpam. 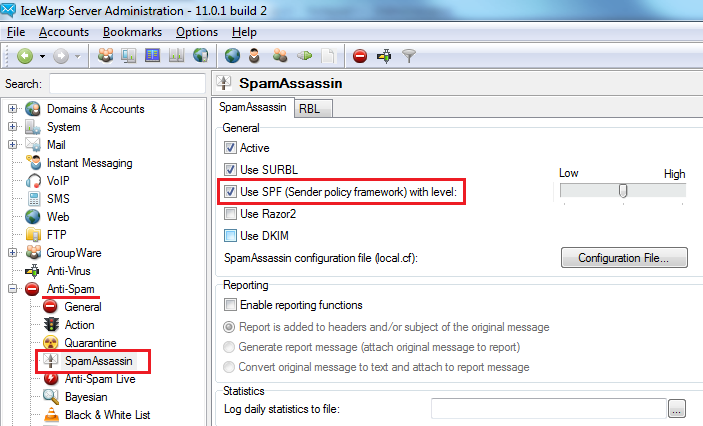 If you enable SPF it will modify SpamAssassin score for each message. SpamAssassin score modification also depends on the sending server location (either local address or address from internet) and ifInclude Bayesian probability in SpamAssassin score (bayesian in table below) option is enabled.